Anglia Crown is an award-winning chilled and frozen prepared meal manufacturer for the healthcare and complementary markets. We offer a range of multi and single portion dishes to customers and patients. A trusted partner to the NHS for patient and restaurant dining we also operate in the private healthcare, education and care markets. Please contact us to find out how our cost-effective meal solutions can work for you. Our flexible approach to catering recognises that one size does not fit all. Whether you have catering services on site and require help with a few wards, or you run a hospital with limited facilities and require a fully delivered service, Anglia Crown’s range of nutritious prepared meals has the right solution for you. Crown Advantage is our individual frozen meal range. With more than 40 meals to choose from, it is delivered with an innovative removable base via Torus Pak™ packaging, ensuring easy and precise presentation at every meal service. Crown Choice is a flexible multi-portion meal range, available both chilled and frozen. Crown Choice offers a variety of nutritionally balanced dishes including 36 vegetarian and 11 vegan main meals. 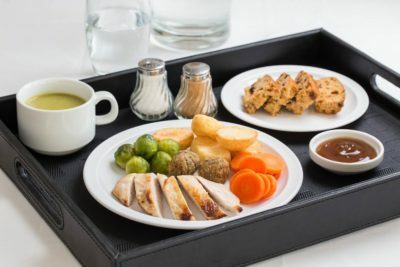 Our core prepared meal ranges deliver a value for money service whilst respecting every patient’s right to a meal which is both appetising and nutritionally suitable for them. We are proud of the meals we produce, all supported by our registered Dietitian. 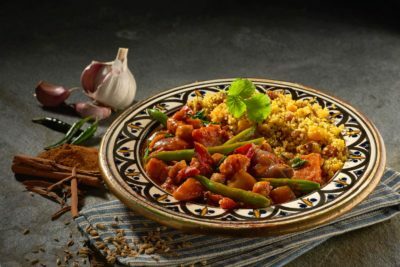 Anglia Crown is the first of its kind to register a range of dishes with the Vegan Trademark via the Vegan Society. 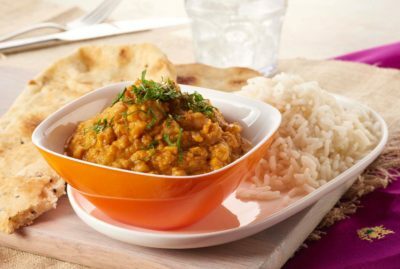 Vegan and vegetarian dishes are available in all our ranges. 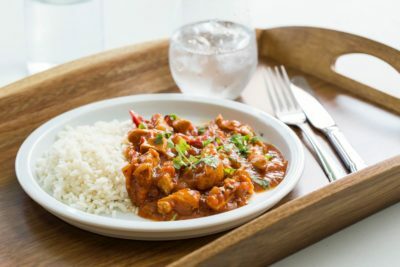 Available in our Crown Advantage individual frozen meal range, our child friendly dishes have been designed around the nutritional requirements of 4-10 year olds. 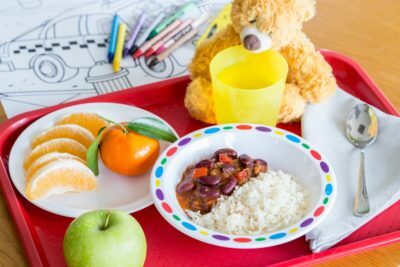 Each meal comes in a child friendly portion size, providing plenty of choice and access to good quality food. To support patient independence, Anglia Crown has developed a finger food range, available in both multi –portion and individual meals. 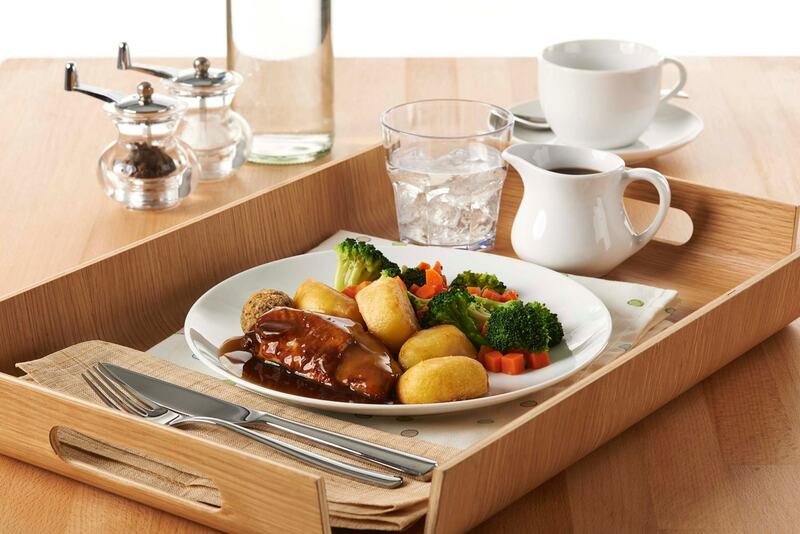 This nutritious range has been designed to support dining dignity for patients who suffer from dementia, upper limb injuries, those with IV cannulas in situ and patient groups who struggle to eat with cutlery. Our most recent addition, is the Smaller Meals Plus range. 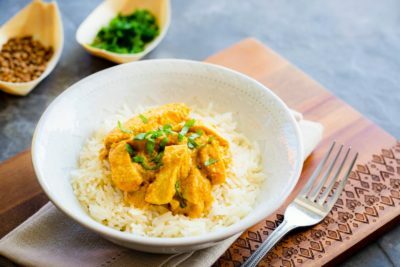 Available in Crown Advantage as a frozen individual meal, the range of eight dishes is suitable for patients who require nourishment in a more manageable size. Operating for more than 25 years, Anglia Crown works with around 100 hospital sites in the UK. It employs more than 160 people, and manufactures approximately 40,000 chilled and frozen meals each day.